Why a Network Engineer Firebrand Apprenticeship? What is a Network Engineer Firebrand Apprenticeship? Network Engineer apprentices are taught how to design, install, maintain and support communication networks within an organisation or between multiple organisations. They'll understand network configuration and administration, the cloud and monitoring tools; and be able to give technical advice and guidance. Successful Network Engineer apprentices go on into roles such as a Network Technician, Network Engineer, Systems Engineer and Network Administrator. Apprentices will achieve two BCS qualifications and one vendor certification. What are the benefits of a Network Engineer apprenticeship? When do Network Engineer apprentices train? Who can enroll on a Network Engineer apprenticeship? 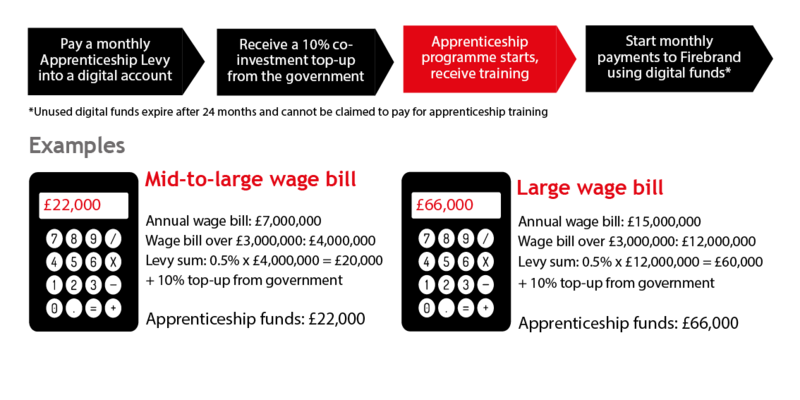 How much does a Network Engineer apprenticeship cost? How are Network Engineer apprentices assessed? What does a Network Engineer apprentice's journey look like? How do Network Engineer apprentices progress?